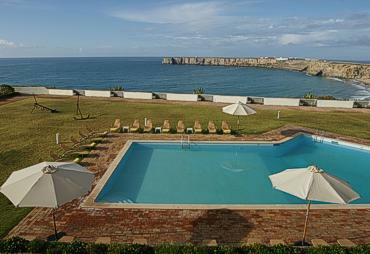 Overlooking the Atlantic Ocean, the Pousada is located in the village of Sagres, in the Algarve region. This village has an important historical and maritime significance, from where, 500 years ago, Prince D. Henrique's caravels left to look for new countries. The discovery of the cultural authenticity of the area and the possibility of walking on desert beaches, allow you to forget about the real world. From the fishing village of Sagres come the excellent fish and seafood that can be quietly savoured at the Pousada, a contrast to the more usual cosmopolitan bustle of the Algarve coast. 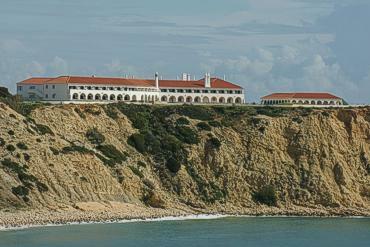 Only 5 km from the Pousada, you will find the Fortaleza do Beliche, the most south-westerly hotel in Europe with an unforgettable view and a first class restaurant. 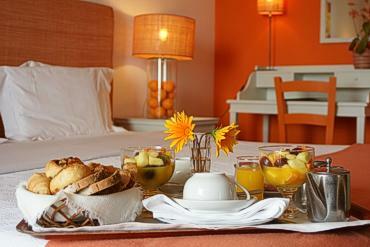 For reservations please contact Pousada de Sagres. This purpose-built Pousada has a superb position on the cliff-top overlooking Sagres fort and the lighthouse of Cape St Vicent, off which many great sea battles have been fought by the likes of Admirals Drake, Rodney, Nelson and Napier. Since its erection in 1960, the Pousada has been constantly improved to cater for the increasing number of visitors who want to see this most south westerly corner of Europe and to learn something of the history of the man who gave his name to the Pousada, Infante D. Henrique, is Portuguese for Prince Henry, the son of King João I and his English-born queen Philippa Lancaster, who founded a navigation school here early in the 15th century. As you sip your Sagres beer on the terrace, remember Prince Henry planned expeditions which prodded and probed their way down the west coast of Africa and then, via the Azores and Madeira, to the New World. His fleets reached India and it is no coincidence that Bombay is so named. It is a corruption of the Portuguese boa baía (good bay). Goa, which has beaches to rival Portugal's, remained Portuguese territory until 1961. Even Christopher Columbus had the good sense to marry a Portuguese girl and do some of his navigational training at Sagres. It is a tragedy that more is not made of this cornerstone of history when Portugal was at its zenith. Someone with the imagination of a Prince Henry the Navigator is badly needed to create displays to explain the 15th century achievements of this great maritime nation. There used to be a little cinema which made some attempt to paint a picture of the past. Since this shut down, street vendors now have pride of place on a historic site which promises so much and achieves so little. 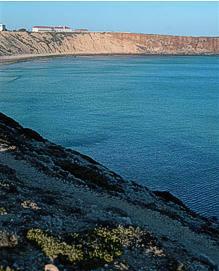 Like many promontories in the southwest of other European countries, Sagres is shaven by the prevailing wind. It is bare, blustery and bleak; yet it has a strange, severe and haunting beauty. In the calm summer months, the stillness, tranquility and the friendly sparkling sea are but a welcome interlude before the winter winds whistle across the empty plains, and the snarling seas thrash against cliffs with awe inspiring ferocity. Spume is flung high into the lowering sky and shipping keeps well off the point. There are several sheltered sandy beaches. Bird watching, wind-surfing and fishing are popular local pastimes. Have a look at Lagos (33 km). It is a port with a new marina, but way back in history many of Prince Henry's early caravels were built here. His statue stands in the square where the well-preserved Mercado dos Escravos (slave market) it's a timely reminder that not only gold, ivory and spices were brought back from those newly-found lands across the seas. The efficiency and friendliness of this modern Pousada compensate for the disappointments of the Infante's 'navigation school'. If you wish to arrive in style, there is now a heliport. 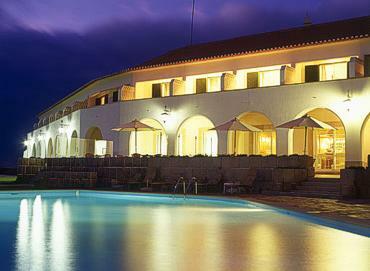 The Pousada do Infante has 51 rooms, all rooms have private balconies and sea view. 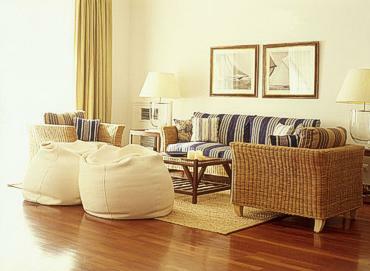 Two of the rooms are adapted for disabled people. Our gastronomy is inspired in the products of the Vicentina Coast. The sea is responsible for providing the fantastic fish and shellfish that are the fantasy of any gourmet. In the Pousadas restaurant, the lobsters and the famous barnacles, that are the perfect example of the sea flavour, are the specialties. 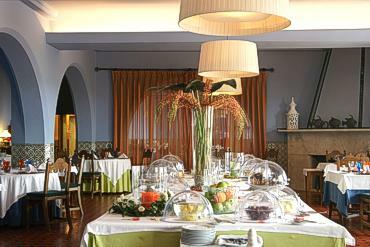 The sargus, the bass, and other fishes, grilled, boiled or poached, are part of the menu that this Pousada has to offer. Located in a space full of historical legends, where the Atlantic light goes through the rooms and where D. Henrique's protection to discover the New World with his caravels, 500 years ago, is the Pousada Infante. Its restaurant, with capacity for 100 people and a cosy ambiance, is positioned right in front of the brave Atlantic where these histories took place. The restaurant is open every day for breakfasts, lunches and dinners, with the traditional flavours and a service able to give to its guests a unique experience, known for the elegance and quality. 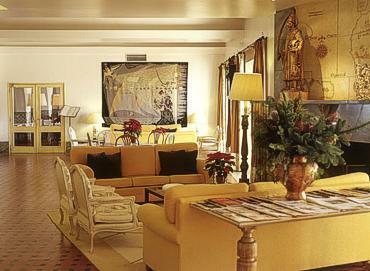 It is also possible to organize it for meetings, conferences, weddings, baptisms, group meals or any other event. This Pousada also has a meeting room for the maximum of 20 people, where all the services can be offered according to the client necessities. The bar's terrace, where marine and historical winds pass through, is the ideal place to have a drink and relax or, like D. Henriques, plan voyages and conquests for the future In this space, it is also possible to get in the touch with the early news about politics, society and sports, with the journals available everyday. 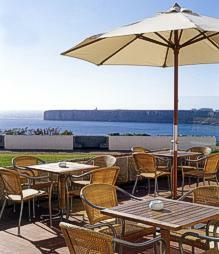 Sagres is located on the south western most point of Portugal, 116 km from Faro and 289 km from Lisbon.